When looking at the latest developments in inkjet, it becomes clear that inkjet isn’t about jetting ink anymore. And it isn’t about small drops anymore. 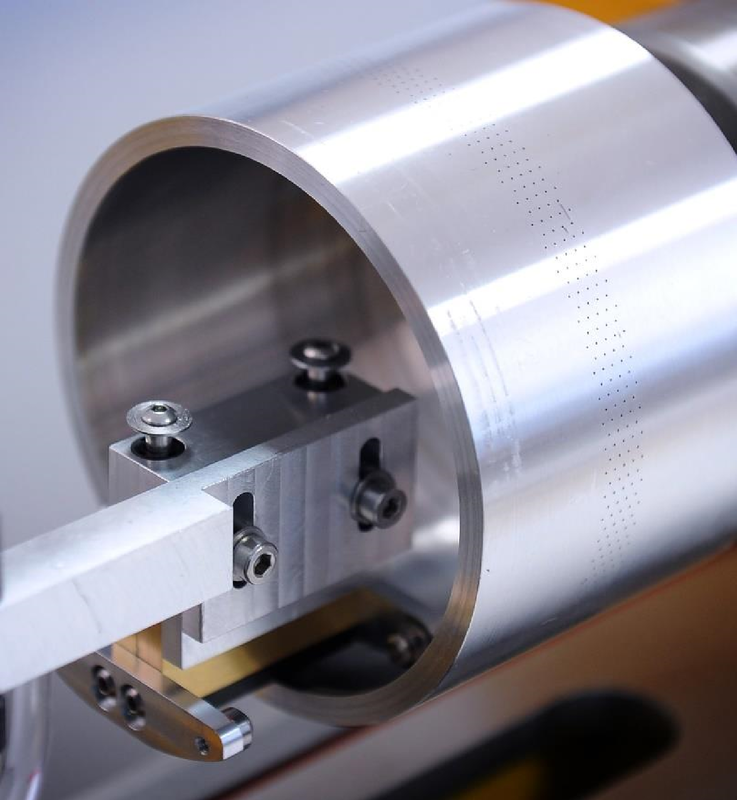 Inkjet is being used more and more to jet – or maybe better: deposit – all kinds of materials. And drop sizes are growing, significantly. To be able to lay down a thick layer of material. And that might provide interesting opportunities. Last week I attended The Inkjet Conference in Düsseldorf, organized by ESMA. It’s the largest event of its kind, with a mix of more technical and more application focused presentations. Everyone who is active in inkjet, or would like to be, was in Düsseldorf last week. Many of the talks were about the latest developments in inkjet head technology, inks and quality assurance. But the most important topics, in my opinion, were jetting other ‘stuff’, laying down thicker layers of stuff and other ways of doing this. Let’s start with the first, the other stuff, other kinds of material. If you look at inkjet printing in a new way, namely as ‘deposition of fluids’ (an exercise we do during our The Innovation.Menu training), a new world opens up. You could jet everything that has the right properties (e.g. viscosity). Coatings, paint, food, even organic material, all of these become a reality. The pharmaceutical world is actively looking into this. With inkjet, they can jet small amounts of material. Professor Simon Gaisford from UCL School of Pharmacy even showed how he adapted a cheap home inkjet printer into a research device. And with interesting results! Which got him an upgrade to a ‘real’ lab printer. But pharmacy is only one of the new areas. 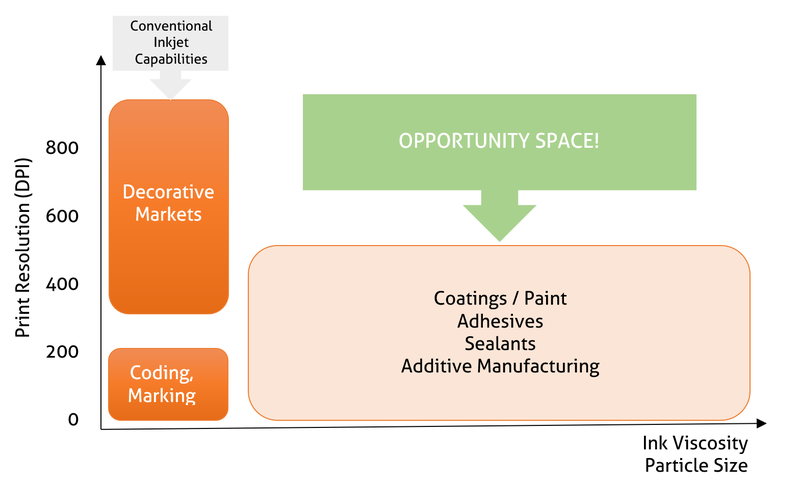 Others are looking into materials like paints, coatings, varnishes. In some cases, researchers are developing new ‘head designs’. When looking at paints and coatings, the pattern you have to print will be a fixed one, not a fully flexible one like printing a book or a picture. And by redesigning the heads, you can achieve higher laydown, higher speeds. One of the companies working on that is Archipelago. Their technology is called ‘Powerdrop’. Which is kind of a rotating cylinder with holes in it. At the top, the holes in the cylinder are used to inlet for a material like a coating, at the bottom they are used to eject the material. Other technologies that were mentioned are: Valvejet (often used for coding), Vista inkjet (which creates droplets via a moving nozzle) and Jetronica (from Alchemie). That last one is interesting: the nozzles are in fact (injection) needles, with a piezo element attached to it. The piezo element will produce a pressure wave that eventually will produce drops at the end of the needle. It is a low cost and high productivity solution, with drop volumes from picoliters up to 50 µl. Although Jetronica was mentioned as a new technology, in fact, it isn’t. 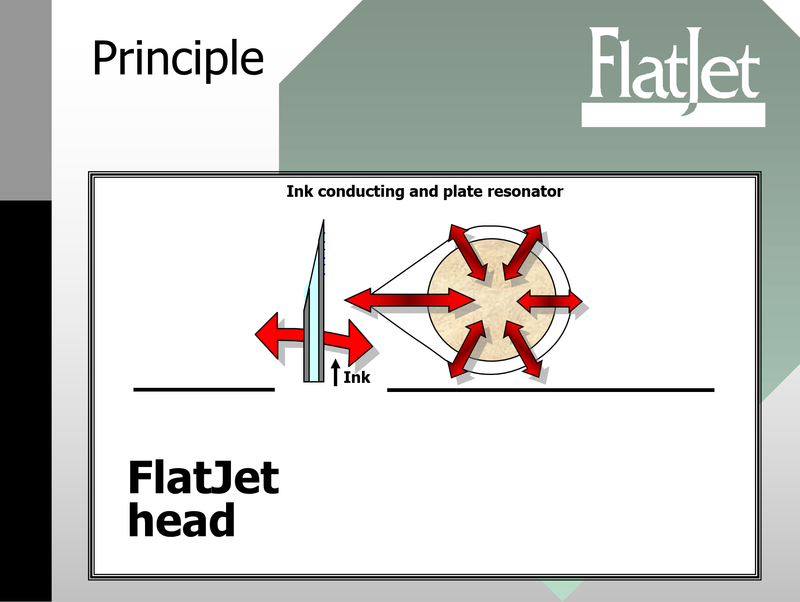 I’ve seen the technology already in 2000, when it was called ‘Flatjet’. It’s an invention from a Hungarian researcher. At that moment he was looking for investors and via a government agency I came into contact with him. I visited his shop in Budapest and although there still was a lot of work to be done, the demo I got was quite promising. And the most interesting fact: he used regular flexo inks at that time… So I’m happy that this technology is still around and is being commercialized. For some time, developments in inkjet have been about smaller and smaller drops, to get to a higher and higher quality output. 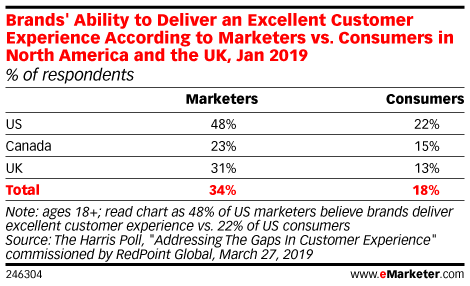 But now companies are also looking the other way: larger and larger drops. And with reason: there are (many) applications that can use a larger drop size. E.g., all kinds of coatings and varnishes. This is ‘Bar’ converted to Braille. The left part is B, the right part ar. They look very close… Precision is key when producing this in print. Inkjet, like all technologies, is evolving. Of course many companies are still developing and improving the known uses of inkjet: small drops of ink that are jetted onto paper or another substrate. But researchers are also looking in other directions: jetting other materials, depositing materials in other ways than jetting and ‘high laydown’ techniques. There are certainly (huge) opportunities in all of these directions. But as my anecdote about Jetronica/FlatJet showed: it can take some time before a promising new technology becomes mainstream. 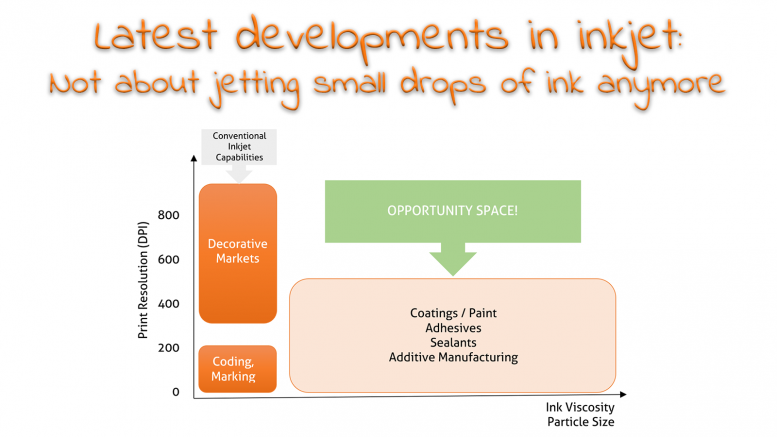 Be the first to comment on "Inkjet isn’t about jetting small drops of ink anymore"